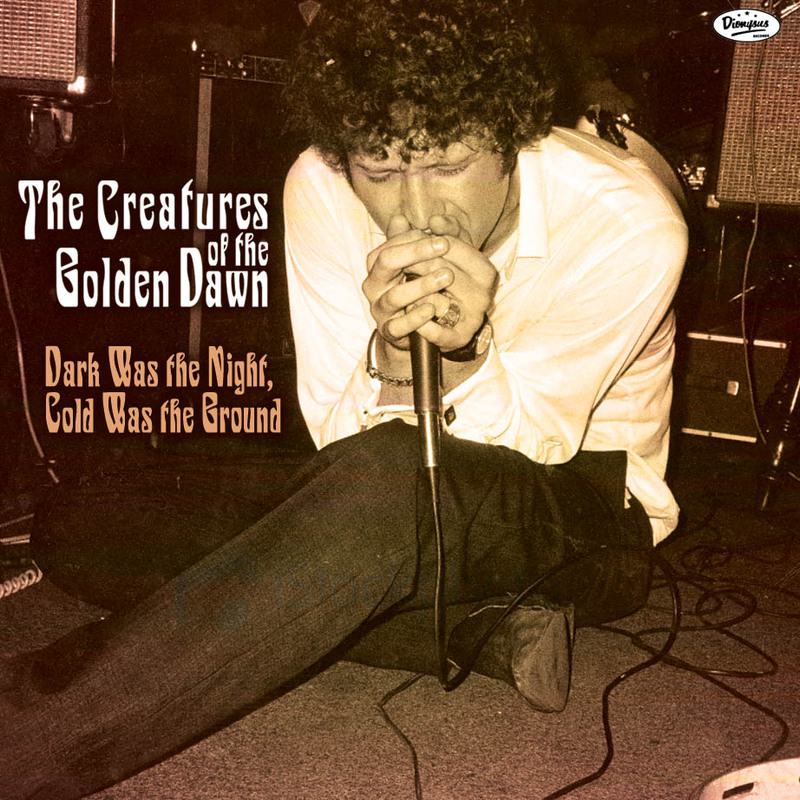 Arriving after the '80s garage/psych revival - Bethlehem's The Creatures of the Golden Dawn came on the scene with a lot more attitude than did earlier similar-minded combos. Lead by vocalist Mark Smith - their knife-sharp punky garage-meets-the-early-days-of-psychedelia tunes were filled with hooky riffs and always shadowed by varying degrees of darkness. The Creatures amassed a cult following in the states and Europe, and were played heavily on Little Steven's Underground Garage syndicated radio show. "Dark Was The Night...Cold Was The Ground" is a collection of what Mark Smith felt were the group's best recorded efforts and includes tracks from their CD releases as well as their 7" EPs. 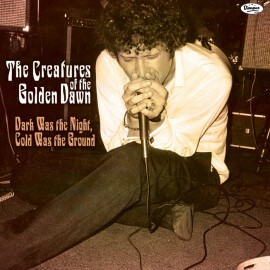 From the LP liner notes: Born of angst and attitude, The Creatures of the Golden Dawn bring forth a collection of songs compelling you to get up and get to action! Savage rhythms, angry guitars and vocals filled with rage and emotion will set your souls, hearts and minds on fire! This is the music that has brought teenagers around the globe to the edge of mania! So get ready to GO with the primitive beat of The Creatures of the Golden Dawn! This album is dedicated to the memory of lead singer Mark Smith and guitarist Mike Smitreski.